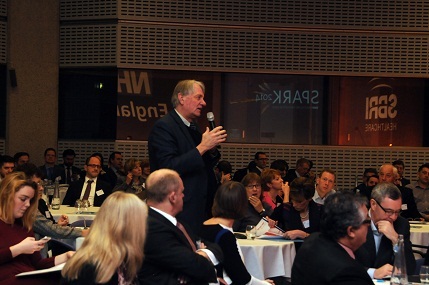 NHS England and SBRI Healthcare yesterday (10 Dec) hosted SPARK 2014 Innovation Expo at the QEII Conference Centre, Westminster, London. *Presentations now available- please see the end of this page. 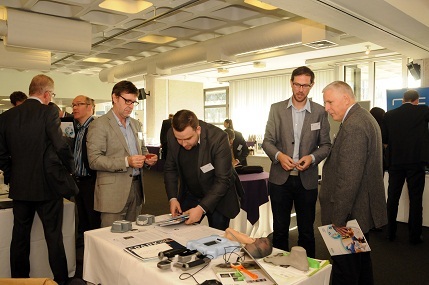 The brand new event brought together 50 companies developing the latest innovations in healthcare with leaders and experts from government, the NHS, academia and industry. The event offered scope to see innovations and technology developed with funding from SBRI Healthcare, to discuss opportunities for further innovation and to establish NHS partnerships. The keynote presentation from George Freeman, Minister for Life Sciences and Ian Dodge, National Director Commissioning Strategy NHS England discussed the challenges and opportunities in bridging the gap between health and economic growth. 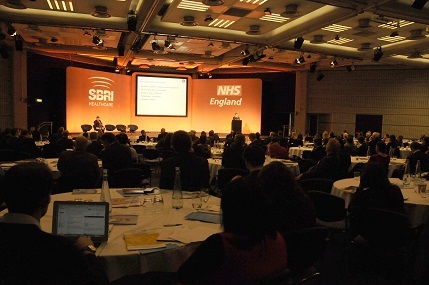 Iain Grey, Chief Executive Innovate UK and Prof Tony, Young, National Clinical Director NHS England, followed with an insight into the economic and clinical value of the SBRI Healthcare programme. Throughout the day all 15 Academic Health Science Networks (AHSNs) who lead the programme, were on hand to support and advise on the application process and potential focus areas for future competitions. 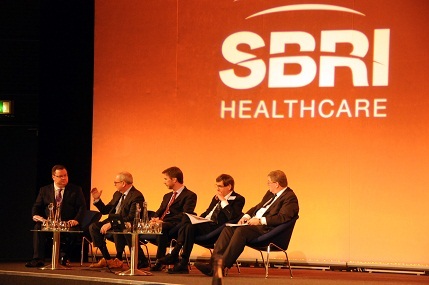 Since 2009 SBRI Healthcare has launched competitions twice a year offering contracts to innovative small companies to develop new solutions to NHS challenges. Over 100 companies have taken part to date and a current pipeline of products evaluated at over £1bn. 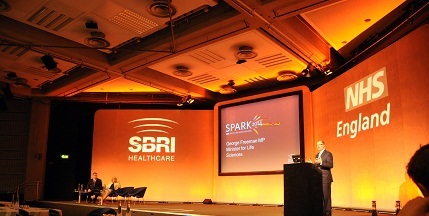 The SBRI Healthcare team would like to say a big thank you to all of the exhibitors and speakers for giving up their time to come along and deliver valuable content and information which contributed to making the day a great success and also a big thank you to all the delegates that came along to SPARK 2014.